Psychology can be a fascinating and rewarding field. Students learn about subjects like human behavior and motivation; they also learn how to apply their knowledge in a variety of contexts. Psychologists are valuable in business, where they can help companies better market their products. Psychologists are also valuable in law enforcement, where they help to analyze criminal behavior. If you're interested in becoming a psychologist but have a hectic work or parenting schedule, you should consider online classes. Online psychology degrees are convenient for working students who need the ability to pursue a degree on their own schedule. These programs are also valuable for rural students who may not be able to attend classes due to the required commute to a physical classroom. The decision of whether to pursue your degree online or in a traditional classroom is a serious one; it can affect the course of your career. Below are some of the pros and cons of pursuing an online psychology degree. It will cost less to earn your psychology degree online as compared to earning it in a traditional classroom. Not only will tuition cost less, but the cost of essentials like textbooks will likely be lower as well. Many of the textbooks required for online psychology classes will be in eBook format, which should make them more affordable. The field of psychology has a wide variety of specialty areas that allow you to tailor your degree to your area of interest. Online schools often offer more tracks than traditional schools do. In some niches, you may work with patients one-on-one; in others, you may work in a research setting. Most of your communication with teachers and other students will be limited to the Internet if you pursue an online psychology degree; this may feel restrictive. Additionally, some students struggle with motivation if they have no one to hold them accountable. 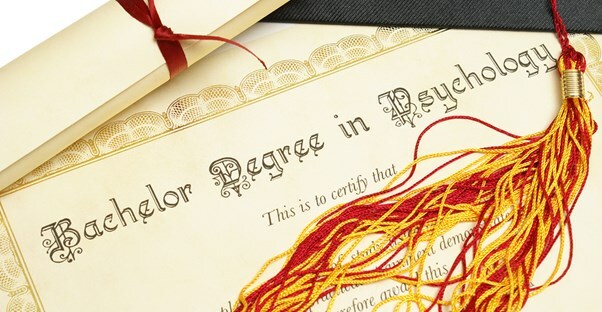 There are many different types of online psychology degrees, and it can take a lot of time and effort to find the right one. For starters, there are many different types of accreditation, and finding out if a school has the right accreditation is crucial but time-consuming. Obviously, online courses will require that you know how to browse the Internet and send email; however, they may also call for more advanced skills. Necessary abilities may include being able to access podcasts and online videos, as well as use wikis. Online psychology courses are not suitable for everyone. Students who are considering earning their psychology degrees online should take the time to look at what the different programs, providing and comparing them to the offerings of traditional brick-and-mortar schools.